Matthew Schaefer, a Partner at the law firm Brann & Isaacson, has focused for nearly 20 years on state tax matters and contested proceedings before courts and administrative tribunals. He was co-counsel before the U.S. Supreme Court for the Respondents in South Dakota v. Wayfair Inc., 135 S.Ct. 2080 (2018) and for the Petitioner in Direct Marketing Association v. Brohl, 135 S.Ct. 1124 (2015). Matthew advises numerous e-commerce vendors, multi-channel merchants, and trade associations, and has represented the challengers in nearly every leading court case testing the constitutionality of state “economic presence” laws that impose burdensome tax and regulatory obligations on remote sellers. Matt is a co-author of ‘Eyes on eCom Law,’ a blog that reports on legal developments of interest to direct marketers and online sellers. Brann & Isaacson is unique among its peers—a boutique law firm grounded in Maine that represents over 100 large and small online and multichannel companies across the country. The firm is general counsel to L.L. 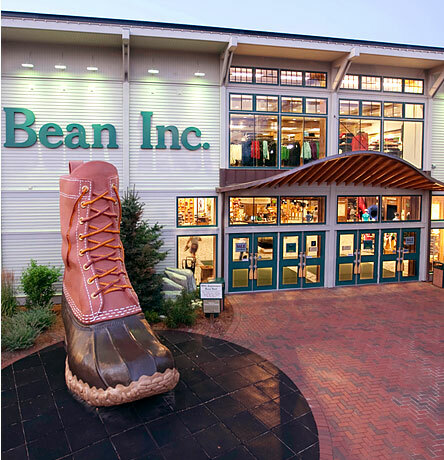 Bean, one of the most prominent and admired retailers in the industry. Today, we advise many of the companies in the Internet Retailer’s Top 500 Guide, as well as many small companies that hope someday to be included in that list. Brann & Isaacson is based in Lewiston, Maine which is approx. 40 miles north of Portland and 135 miles north of Boston. It was in Lewiston where Muhammad Ali had his first title defense, knocking out Sonny Liston in the infamous phantom knockout.